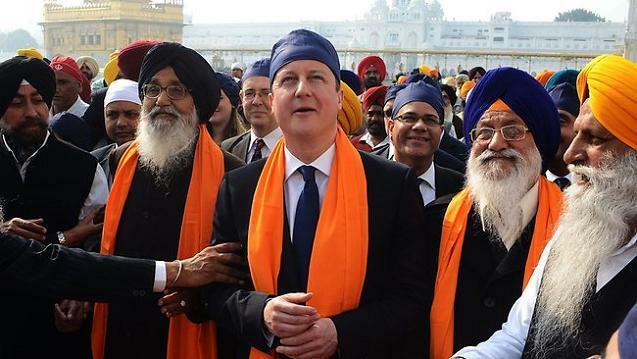 David Cameron’s feel good field trip to India has run into a spot of bother, as Indian PM Singh raises questions about a corrupt arms deal for British-made helicopters and tough visa restrictions for Indian citizens. Sometimes, that pesky colonial legacy just won’t go away, will it? Colonialism. You remember it. It’s that thing you never learned about at school “cos it’s a bit embarrassing”. Ok, ok, let’s try pop culture… errr, Gulliver’s Travels, Robinson Crusoe, Westerns, Pocahontas, Heart of Darkness, Out of Africa, Black Magic… but then we start to go a bit downhill, with Orwell’s Killing an Elephant, Ballard’s Empire of the Sun, beyond which popular culture doesn’t really ‘do’ colonialism – except to sometimes make massacres seem heroic (think Zulu). And also, we need to look like we’re still in charge of something. We’ve still got some colonies, after all. Fourteen of them, in fact, though they’re not called ‘colonies’ now, as this is the modern world. 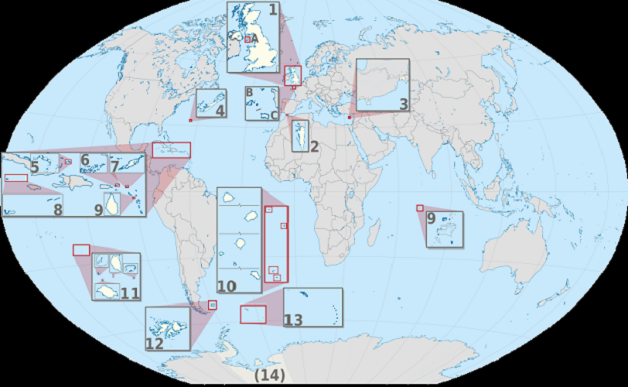 Instead, they’re called, uh.. ‘British Overseas Territories’ (BOT). Look, here they are. Basically they’re all small islands, except for that huge chunk of Antarctica (which is going to look like such a great investment once global warming has transformed it into a sauna). BOT Number 9? That’s the Chagos Islands, whose indigenous inhabitants we kindly evicted in the early 1970s so we could let the US build an airbase for them to use for rendition flights of suspected terrorists. Admittedly, it can be hard to acknowledge that subjugating people in the past was wrong when you’re still doing it in the present. David Cameron’s main purpose in going to India was to sell Typhoon jets, not to “cement the relationship” between our peoples. There was little surprise that in this trip to ‘promote trade’, Cameron was accompanied by a battalion of arms industry employees. The UK government is the biggest customer of the UK arms industry, and as the Guardian noted, the “provider of the wars that act as the industry’s best showcase.” Dave is simply doing what any good patron does for clients on whom he depends: dancing to their bloody tune. The acquisitive selfishness that always animated colonialism is a part of us that never went away. We just discovered better ways to get the goods, manpower and land we wanted by getting others to repress their people for us. Valuable suggestions – BTW , if your business was looking for a a form , my colleagues filled out and faxed a sample document here http://goo.gl/Bcs5HE .